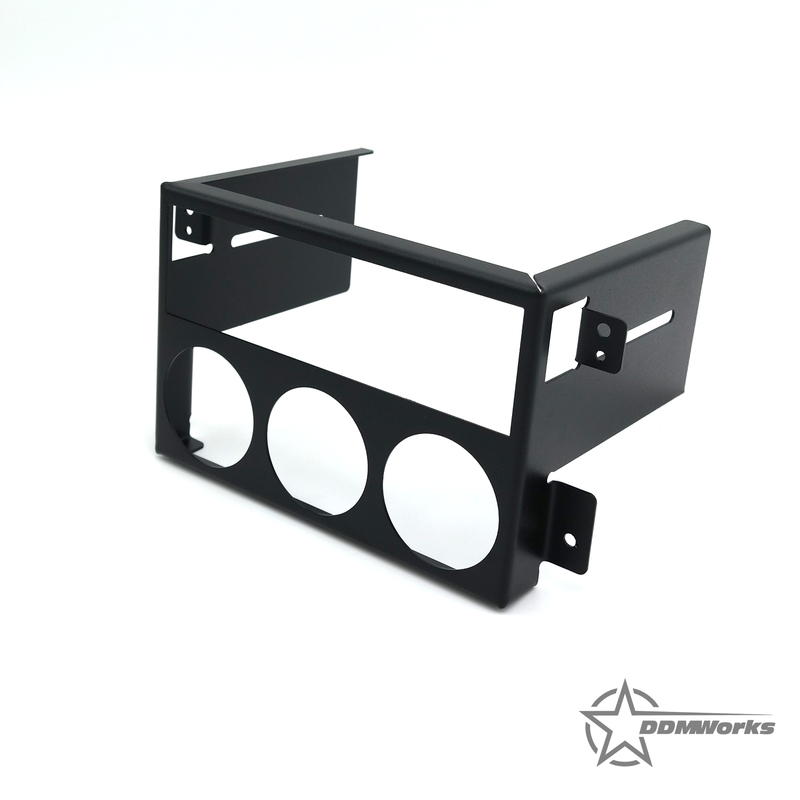 This radio surround fits in the non-standard radio hole in the 1990-1995 Miata's. Made of 304 stainless steel* it is as strong as it is beautiful. 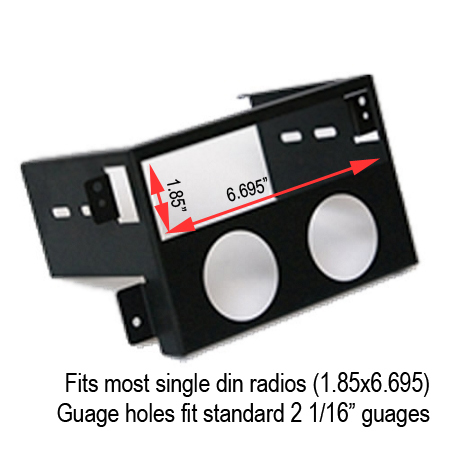 Holes fit most standard 2 " gauges and a spot to securely hold your radio in place. This radio surround fits in the non-standard radio hole in the 1990-1995 Miata's. Made of 304 stainless steel* it is as strong as it is beautiful. 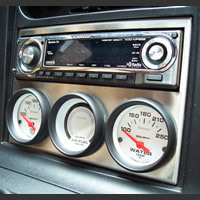 Holes fit most standard 2 " gauges and a spot to securely hold your radio in place. Add a little style and function to your Miata! Fits all 90-95 Miatas and 96-97 Miata's with the factory upgraded radio. Stainless Steel finish and Black available. 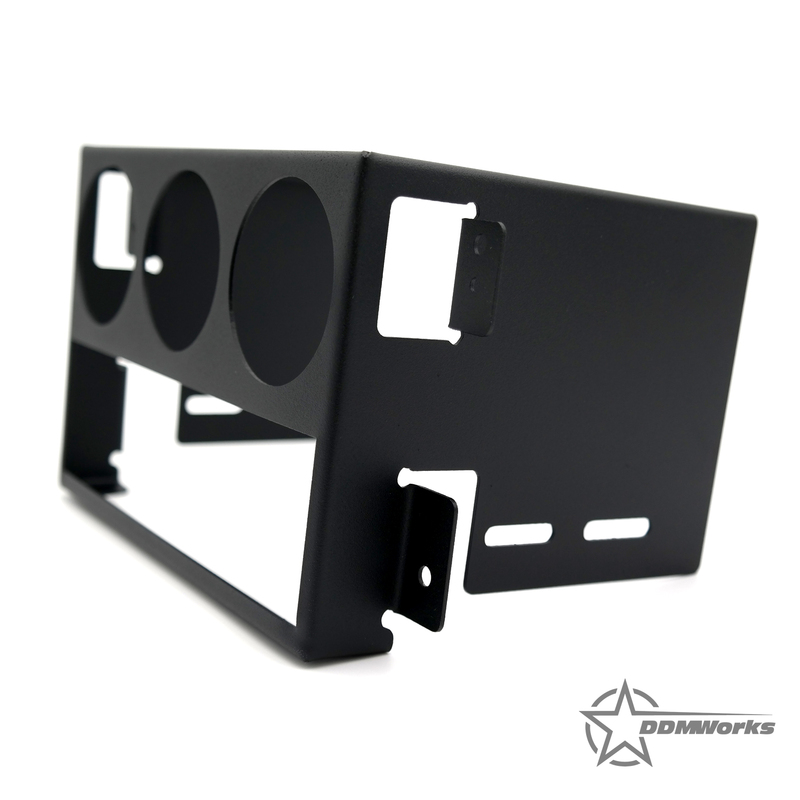 Black surrounds are mild steel and coated with a texture black powder coat. This finish is an almost perfect match to the stock tombstone (plastic surrounding radio area). Very impressed with this product! It seems to be made from a single piece of steel that is bent (perfectly) into shape and then powder coated. There are NO sharp edges or unfinished metal of any kind. Everything lined up perfectly and the fit is perfect (seriously...perfect)! The powder coat is VERY well done and there's even the DDM Works logo cut into the side (you won't see it once it's installed but a very nice touch). This was worth every penny! I'm glad I finally bought this! Fantastic product. Shipped quickly and installation was a breeze. Instructions were very clear, and the fit was perfect. Looks great. Highly recommend. 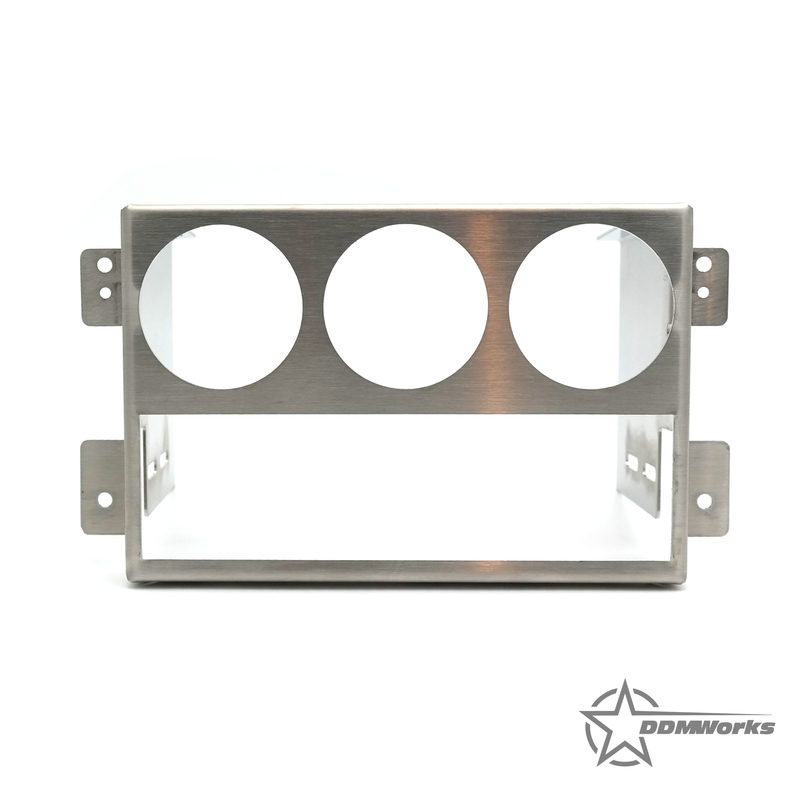 Q: Will this work for a with a double din dash in my 1994 Miata? Q: Are these surrounds for NA's only? I just tried mounting one in my NB and it sticks out over the AC controls. Q: Are you guys able to drill holes in one these for me? Im putting three toggle switches i can get the dimensions if you are able to. 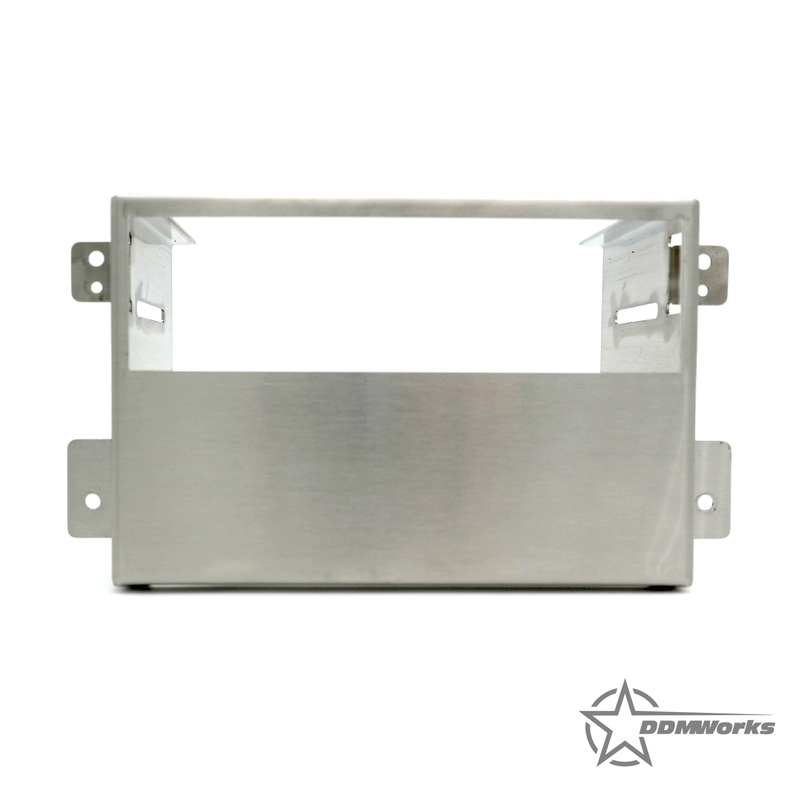 Q: Do you have a radio surround for a double din radio? Q: Hello, What are the exact dimensions of the radio/deck cut out?